Frank Camorra gave Australia the tapas revolution we craved when he opened MoVida in a Melbourne laneway in 2004. Born in Barcelona, Frank grew up in Australia before a trip to his birthplace in 2001 inspired him to share his love of Spanish food. MoVida was an instant hit, leading to more venues, MoVida Next Door, MoVida Aqui and crossing the border with MoVida Sydney in October 2012. He co-authored five books, including MoVida Cocina, a summary of recipes from his restaurants, MoVida Rustica, which explores the traditions of Spanish cuisine and won the World Food Media Award for best hardcover recipe book. Matt Wilkinson is chef and co-owner of Melbourne eatery Pope Joan, much-loved for its homely dishes – led by locally grown, seasonal produce – with a distinctly British twist. Pope Joan opened its doors in 2010 and, since that time, it has evolved from a daytime café to a bustling space with a bar, private dining room, and weeknight dinner service. It has become a firm neighbourhood favourite. In early 2013, Matt and business partner Ben Foster opened Hams & Bacon, Pope Joan’s produce store and takeaway hub and canteen/kitchen/grocery store Jack Horner in April 2015. Matt is also the author of best-selling cookbook Mr Wilkinson’s Favourite Vegetables and Mr Wilkinson’s Simply Dressed Salads. Guy Grossi is devoted chef and restaurateur. He is the owner of Grossi Restaurants including Grossi Florentino, Merchant Osteria Veneta and Ombra Salumi Bar. His passions lie within his cooking and sourcing pure ingredients produced in artisan style wherever possible to maximise the integrity of his dishes. Guy is driven to share his knowledge and experiences through his bestselling books such as Recipes From My Mother's Kitchen, My Italian Heart, Grossi Florentino - Secrets and Recipes and recently released – Love Italy Guy is also a dedicated philanthropist dedicating much of his personal time and funds in assisting young people in need and mentoring others. Guy's restaurants attract great praise but what gives him the most joy is the satisfaction of feeding a hungry diner. Guy was crowned King of Moomba for the Parade in 2017. Known for his nose to tail cooking philosophy, the cheeky and outspoken Irishman firmly believes the secret to cooking a great dish is planning and “having a bit of love for the food”. Colin, who counts pork, potato, lemon and peas among his favourite ingredients to cook with, says he was drawn to cooking as a career at the age of 12 after seeing esteemed French chef Raymond Blanc on a television program. Colin has been Executive of The Four in Hand Dining Room since October of 2005. Since starting at The Four in Hand, Colin’s unique style has seen Colin taking a small Dining Room in a Pub to a ‘Foodie’ destination. In May 2011 Colin Opened 4Fourteen, a restaurant diametrically different. Crowned GQ Magazine’s Chef of the Year in 2013, Colin released his first cook-book Four Kitchens in 2014. Melbourne chef, restaurateur and food writer Karen Martini has been cooking professionally for more than 20 years. Karen has headed restaurant kitchens including the iconic Melbourne Wine Room, Icebergs Dining Room in Sydney and her current artisan pizza restaurant Mr Wolf, winning countless chefs hats and other plaudits along the way. Karen’s kitchen career has been balanced by media commitments, cookbooks and much-loved recipe columns, including a role as food editor of Sunday Life magazine, with the Sunday Age and Sun-Herald newspapers. Since Karen became a mother in 2006 her love of relaxed cooking with fresh, healthy, seasonal produce has intensified. “I’m always thinking about what I am going to eat next, how I might cook it, how I could do it differently,” she says. “When I’m helping people to cook and eat and get the same pleasure from it that I do, then I’m happy. My recipes are an extension of me. Karen was crowned Queen of Moomba for the Parade in 2017. His has risen to the top of the culinary world since starting cooking in Margaret River, Western Australia in 2002. In 2003 he began an apprenticeship at Leeuwin Estate, and after moving to Perth, he was appointed Sous Chef at the famed Perth restaurant, Star Anise, at the age of 20. In July 2015, Stone was offered the position of Executive Chef of Oakridge Estate in the Yarra Valley, Victoria. In his short time there, Matt has successfully set up a kitchen garden and religiously uses local and ethically farmed and foraged produce. 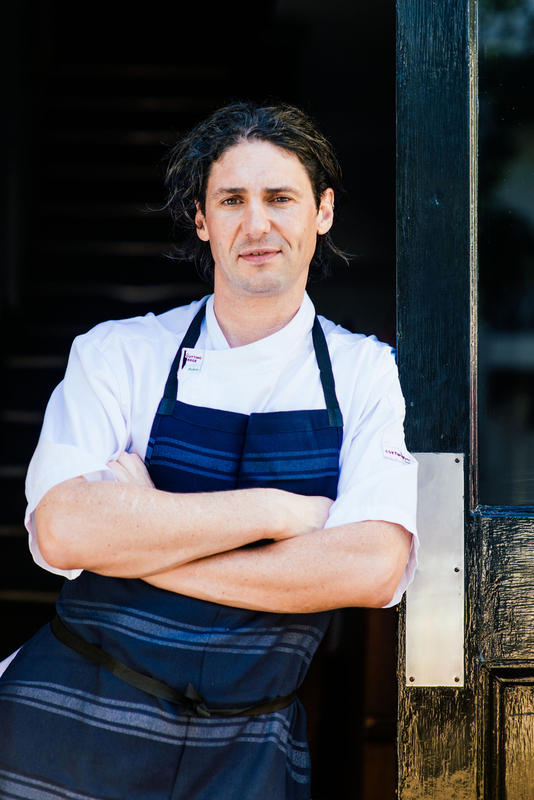 Working closely with his partner Jo Barrett, Sous Chef at Oakridge Estate, the pair have firmly put the restaurant at the forefront of the Australian dining scene picking up numerous top awards in 2016 including: Delicious Magazine 2016 Outstanding Chef, The Australian’s Hot 50 Restaurants and awarded best regional restaurant for 2016. All activities subject to a first in best dressed basis on the day as spaces are limited.